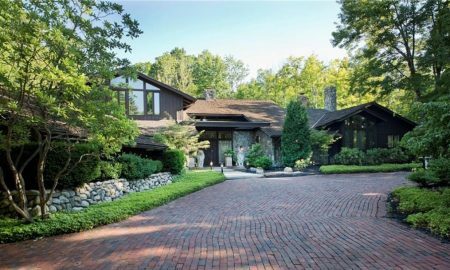 Located about 16 miles southeast of Cleveland, the village of Chagrin Falls is right along the eastern border of Cuyahoga County. 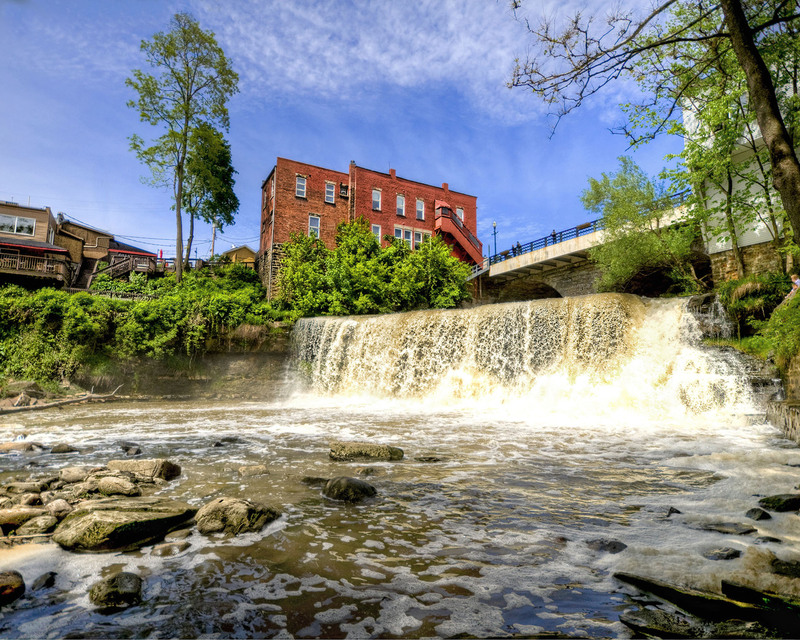 Encompassing over 2 square miles, Chagrin Falls takes its name from the natural waterfall cascading from the middle portion of the Chagrin River that bisects the township from northeast to southwest. The village is bordered on the north by the township of Chagrin Falls and Russell Township; on the west by Moreland Hills; on the south by Bentleyville and Bainbridge; and on the east by South Russell. 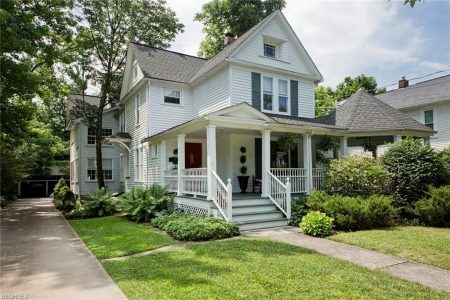 Formerly a manufacturing town, Chagrin Falls has evolved into a primarily residential community that successfully blends small-town warmth and charm with a rich history and modern suburban conveniences. It is known as the area’s foremost art center. Along with being the host to the annual documentary film festival and the Falls Art Festival. There have also been movies such as The Gathering and Kings of Summer that have been filmed in the area. 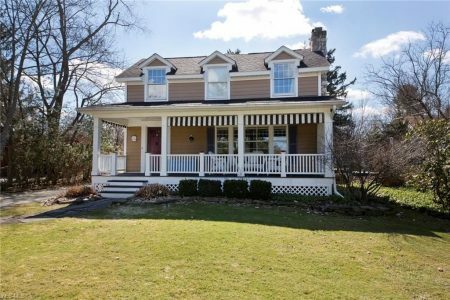 Chagrin Falls offers a great selection of homes, with options ranging from single-family residences that include classic, well-preserved 19th century homes in various architectural styles and influences that range from Cape Cod to Colonial Revival, Greek Revival and Bungalow, to Italianate and Victorian. 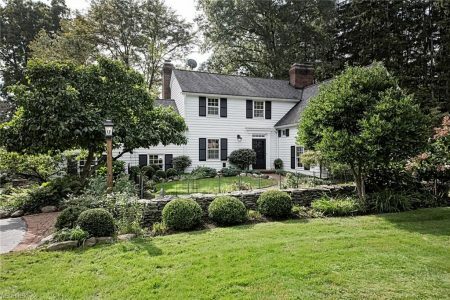 There are also estate properties, townhouses, and condos, as well as land and lots ideal for new construction for those who’d prefer to build their own custom home. 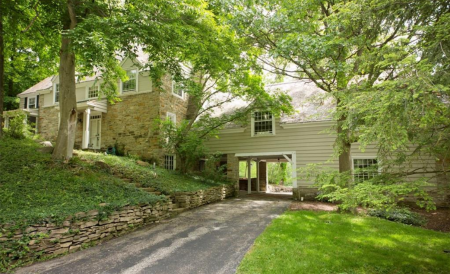 Most of the homes in Chagrin Falls are on tree-lined streets whether in or outside of the village. 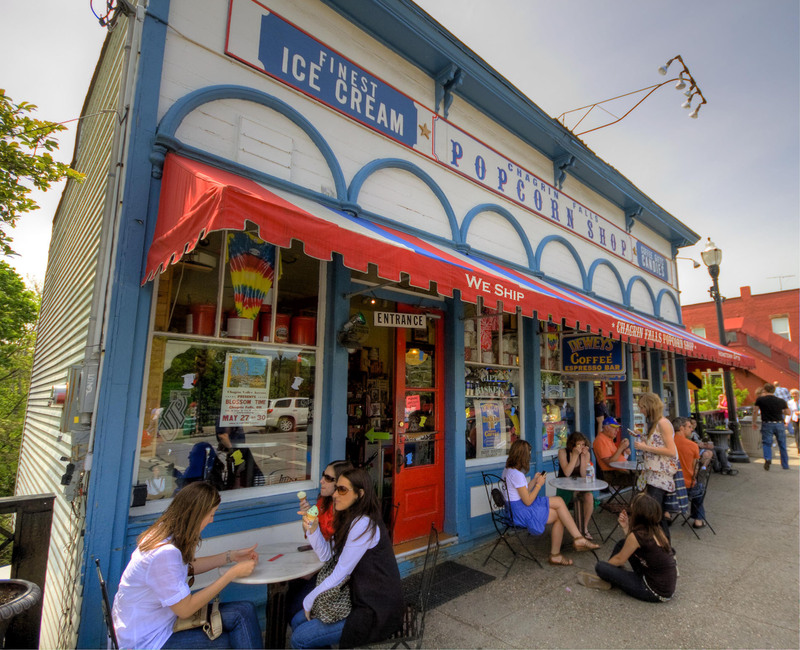 The residential areas are neatly laid out around an old-time village square complete with ice cream parlor and popcorn shop. Chagrin Falls Waterfall – This waterfall is located right in the center of the town, just below Main Street Bridge, and is the very reason the village was named Chagrin Falls. The falls cascade from a height of about 20 feet along the Chagrin River, and a small dam can be found upstream on the other side of the bridge. Just past the bridge is a boardwalk with steps leading downward that lets you view the falls up close. Triangle Park – Past the Main Street Bridge to the south is the Chagrin Falls Triangle Park Commercial Historic District, which is the main shopping area of the village. Numerous stores and dining establishments line Main Street and Franklin Street, while in the middle lies Triangle Park, a small triangular-shaped island with paved walkways, trees, and a gazebo built in 1877 that’s used as a venue for concerts and musical performances. Chagrin Valley Little Theatre and River Street Playhouse – This has been providing plays, musicals, youth theater education and special events to Northeast Ohio since 1930. People visit the village from all over during the Annual Chagrin Documentary Film Festival. This venue is dedicated to educating audiences and enables talented filmmakers to tell their stories. 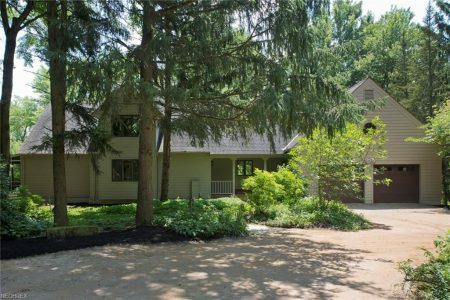 Valley Art Center – Regarded as the hub of the visual arts in the Chagrin Valley, the Valley Art Center is the only nonprofit gallery in Chagrin Falls, offering 400 classes to more than 1,400 students of all ages and abilities. Established in 1971 to present, promote, and teach visual arts, Valley Art Center has been a gathering place for local artists and patrons for more than 40 years now. The Center also holds five gallery shows each year featuring artists from across the country and the world. Every June, the Art by the Falls outdoor art festival draws over 120 nationally renowned artists and brings thousands of visitors to Chagrin Falls.